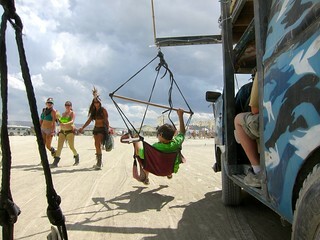 Just hanging out and cruising the playa in a VW hammock bus. The guy driving was this kid's dad, and the kid was about 12, and had been on the playa 5 times. He *owned* it.